In 2017, together with our partner iceaddis, we held the first edition of our Media Lab Collaboration program. The East-African Media Lab Collaboration - EAMLab 2017 – in-residence program gave ten African media professionals, activists and entrepreneurs the opportunity to develop project ideas together with host-organisations in other East-African countries. The program was kicked off in September with a workshop in Addis Ababa and finalised with a larger network event in Kigali, early December 2017. 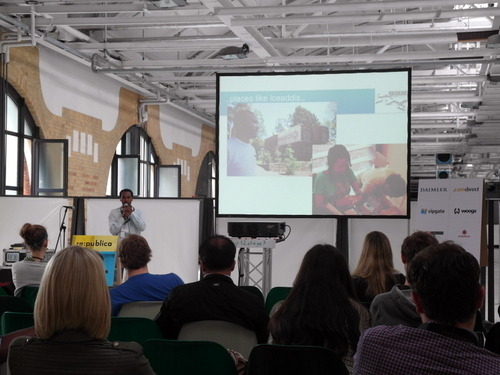 In early May of 2017, icebauhaus had the pleasure, with the support of GIZ, to invite its partners from Indonesia, Senegal, Germany and Ethiopia to present their projects in a session titled “Nourishing our Communities – Rural Urban Platforms for Food Innovation” at the annual re:publica conference in Berlin which this year was attended by 9.000 visitors. The hour-long session showcased the four different initiatives involving indigenous culture and rural techies in Indonesia, community supported agriculture in Germany, the Yeesal Agrihub in Senegal and the “Honey or Money” crowd-investment initiative in Ethiopia. 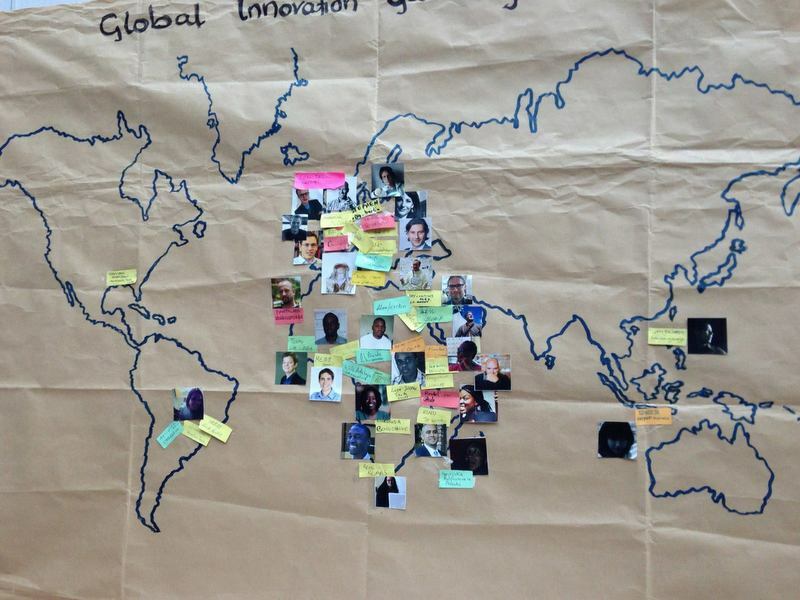 Participants from nine countries and four continents met in Addis Ababa between 14-18 November 2016 for GIZ’s Innovation Factory (IF) International Country Unit Meeting (ICUM). Main purpose of the event was to mutually present innovative concepts and share experiences made throughout the preceding year’s innovation process and to plan joint activities for the upcoming year. The workshop was held at the campus of the International Livestock Research Institute (ILRI). See here some impressions by the German Embassy in Addis Ababa. The Innovation Factory programme supports the establishment of local multi-stakeholder platforms to develop innovative local solutions to challenges within small-scale agriculture, public health and nature conservation. icebauhaus is technical consultant on the topic of ICT4Agriculture within the IF programme, while denkmodell is methodological advisor. On 9 July 2015, the Bauhaus-Universität Weimar and the Ethiopian Institute of Architecture, Building Construction and City Development (EiABC) have signed an agreement for a joint research institute in Ethiopia. The “Emerging City Lab Addis Ababa” will, as a joint research institute, continue the idea of experimental building that has been implemented over the past six years as part of a research and training cooperation in the Ethiopian capital. In its second year, the Digital Bauhaus Summit takes on the motto „Designing Society.“ Having buried the deadly political utopias of the twentieth century, we encounter utopian visions of social engineering and re-design anew – from the microscopic to the large scale. Design has become a leading theme of our epoch, expanding from its traditional domains of objects, products, and surfaces into the realm of consciously shaping and reforming everything else: from technology to work, from money to law, from social processes to politics. But can design really live up to such grand expectations? Through a recent collection of activities and events, icebauhaus has now ventured into the field of ict for agriculture (ict4ag). 22nd January 2015, Canadian Embassy Berlin. How can we make the development practice we are engaged in more useful, open and transparent? How the development industry can act more effectively, and what ‘open’ in development context means. Could #DoDevDif ever work in the existing work stream of development agencies? Sometimes donor structures and policies do not really serve the ecosystems on the ground. Can’t just come as a donor and say this is what we would like if it doesn’t fit the local culture and ecosystem. Join the event of our partner r0g media. The International Symposium on Climate Adapted Urban Infrastructure, jointly organized by EiABC (Ethiopia) and Bauhaus University Weimar (Germany) was successfully held mid-December, 2014 at the Goethe Institut, Addis Ababa. The interdisciplinary event, aimed at revealing alternatives to current planning practices in social housing all over Africa resulted in a concept for a multi-disciplinary research project “Integrated Infrastructure” planned for 2015. Read more about the event here. MACU (Mobile Automated Contemporary Unit) is (after SECU & SICU) the last of three full-scale prototypes to be created in our DAAD-funded project Concept-Test-Realization as a collaboration between the EiABC in Ethiopia, Bauhaus University Weimar in Germany and University of Juba in South Sudan. MACU consists completely of CNC milled plywood which is produced in Ethiopia out of Eucalyptus. It has no screws or nails and the only tool nessecary for assembly is a rubber hammer. Open source construction files to be published soon. Read more about MACU here and see more photos below. 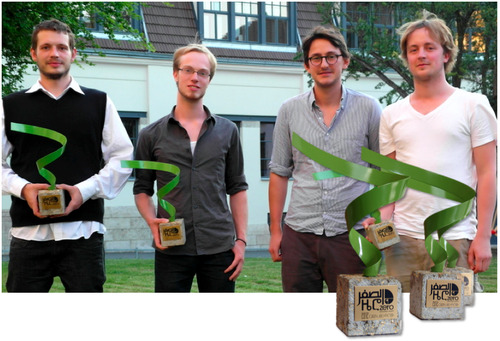 SICU project awarded third prize by Holcim Foundation! icebauhaus organized a podium discussion within the global innovation gathering at this year’s re:publica conference in Berlin. Tiemo Ehmke (icebauhaus) moderated the discussion between Ahmed Bastawy (icealex), Bastian Lange (Multiplicities-Berlin) and the re:publica audience. icebauhaus partnered in the second edition of Global Innovatiob Gathering, bringing the afrilabs network and many other international techhubs to the annual re:publica conference in Berlin. 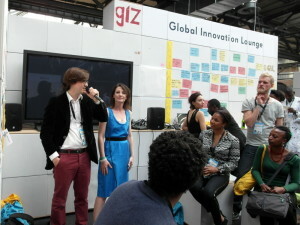 see the re:publica website section on the Global Innovation Gathering here and read the great detailed recap by icecairo here. End of April, icebauhaus, in cooperation with CIM, ahadootec and iceaddis organized an intense full-day workshop on user centered software development in Addis Ababa. Three invited speakers from German private sector and academia each lead an interactive sub-workshop on three topics essential to the development of state-of-the art complex web and mobile apps. Participants were a mix of engaged professionals from across the different sectors of the Ethiopian developer scene and interesting discussions ensued about differences and similarities of practices within the Ethiopian and the German software development contexts. Our hope is to organize further follow-up events that allow to enhance the connection between international communities of IT-developers and the sharing of insights from different contexts. See the session topic-descriptions and some photographic impressions below. In January 2014, icebauhaus, in cooperation with the Usability Engineering Center of Nuremberg Institute of Technology began the first phase of a new research project in the field of mobile application development for the African market. The aim is to develop a concept and a prototype of a mobile application to support Ethiopian athletes and trainers to better achieve their goals of developing their running talent towards an international level. Main technical partner in Ethiopia is AhadooTec plc., an Addis Ababa IT company managed by Ethiopians who recently returned from the German diaspora with the support of Centre for International Migration & Development (CIM). 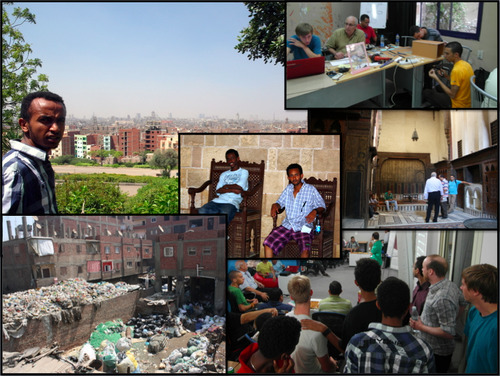 The first project phase involves on-the-ground user research in Addis Ababa as well as in rural Ethiopia. 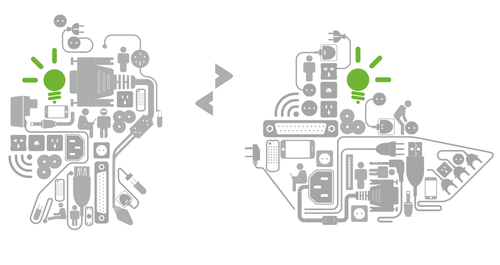 AhadooTec Engineers will be actively involved throughout the user centered design process, and continuous technical consultation is provided by local tech-innovation hub iceaddis. 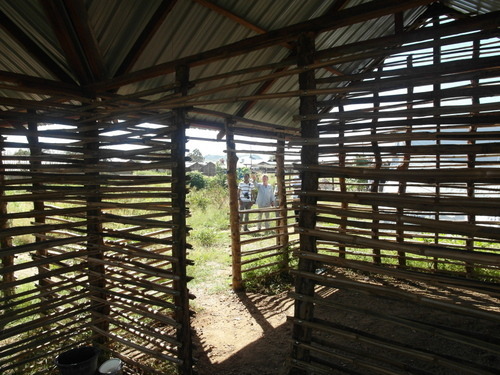 End of September 2013, student and teacher teams from Bauhaus University Weimar and University of Juba joined their colleagues from EiABC, Addis Ababa to, within 10 days, out of prefabricated elements collaboratively construct a SICU prototype in scale 1:1 in the Lideta subsity informal settlement. In September, icebauhaus organized a first three-day fieldtrip to Cairo for representatives of the Professional.Bauhaus project of the Bauhaus University Weimar. The three research assistants representing the topics Zero Emmission, Urban Resilience & Eco-Sanitation were invited by the GIZ Employment Promotion Programme. They took part in several revealing site-visits, as well as an “expert-talk session” with invited relevant stakeholders. 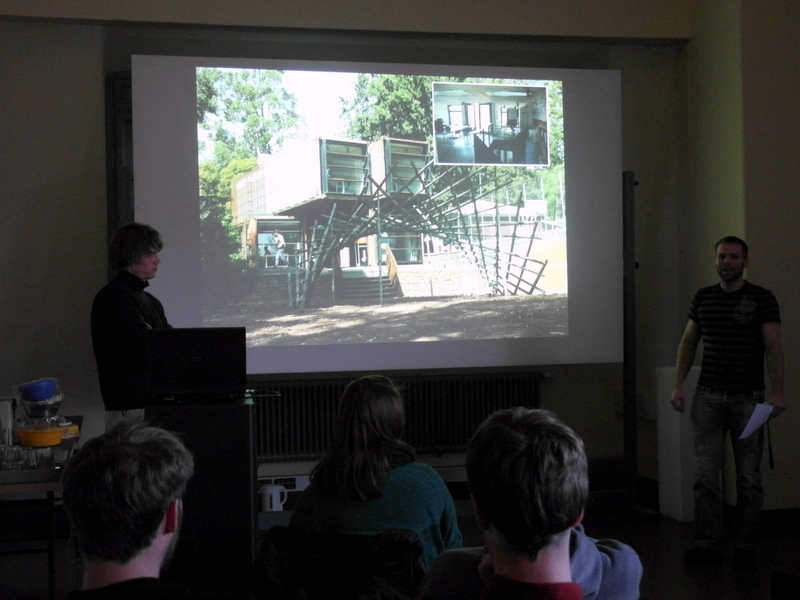 The aim of the field-trip was the preparation of trainings on the topics mentioned above under the coordination of icebauhaus. icebauhaus in cooperation with Sudile held a first eLearning training at icecairo and accompanied a training on “Offgrid Solar Energy Systems” by the Deutsche Gesellschaft für Solarenergie (DGS), organized by GIZ. Aim of the project is to collaboratively develop formats of eLearning and Blenden Learning that allow for more efficient formal trainings, with a wider reach, as well as accommodating informal learning methods through and with icecairo. Bauhaus University students are right now busy preparing the Summaery exhibition which will again form an integral part of our africa re:load conference next week. We are looking forward to three intense days of networking, discussions and project development with our community. 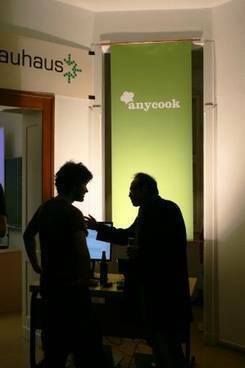 This year, a bit bigger, more international and interdisciplinary, while hopefully still as informal and joyful as the two previous years. 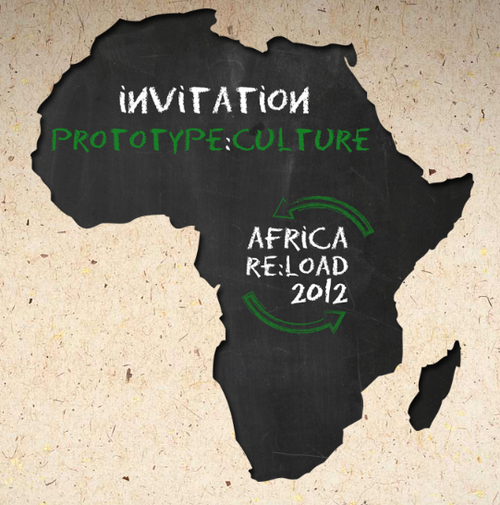 Registration for africa re:load 2013 is now open! 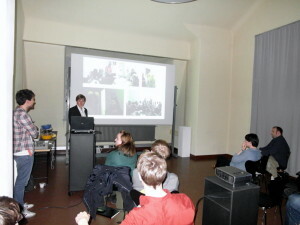 africa re:load is the annual main event in the icehub network‘s calendar of activities in Germany. This year’s event takes place 11.-13. July in Weimar. 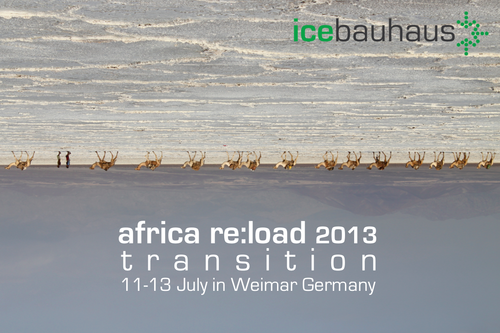 icebauhaus is happy to announce the date of our upcoming event africa re:load 2013: It will take place on the 11th-13th of July at the Bauhaus-Universität Weimar in Germany. Despite the ongoing political unrest people eager to contribute to and shape a greener, cleaner Cairo made their way to Azhar Park to take part in an Ecocities Barcamp hosted by icecairo. 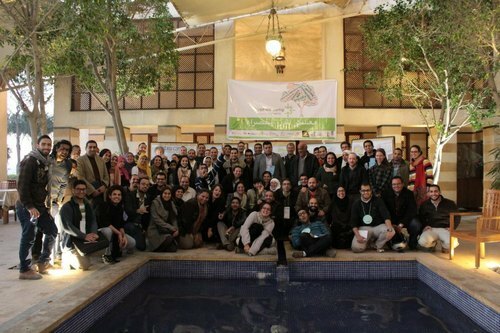 Participants varied in age, background, and experience, but held a shared vision of making Cairo, and Egypt, a more sustainable and better place to live. We support the Bachelor project “Development of a conceptual mobile app prototype for conflict management and resolution in East Africa.” This Bachelor project is based on a collaboration between Ohm University Nuremberg and North45 in Addis Ababa. In November, icebauhaus co-hosted the workshop “How can social and professional networks support Ethiopian migrants to realize their innovative potentials for the benefit of their country?“ as part of the Ethio-German-Konnect 2012 conference in Addis Ababa. The workshop served as a kick-off for the two invited networking institutions DÄSAV (German Ethiopian Student & Academic Association) and icebauhaus to continue exploring synergies by continued discussions, research and by realizing common projects. 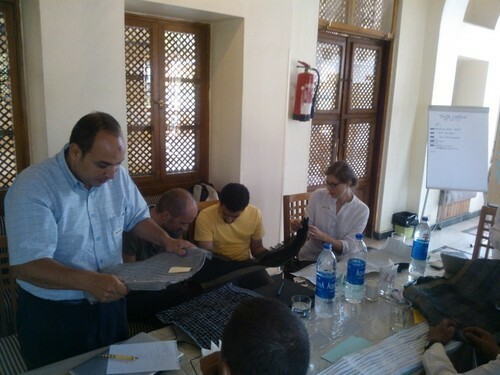 In September 2012, icebauhaus presented the topic “Textiles in Architecture” to local partners in Egypt. 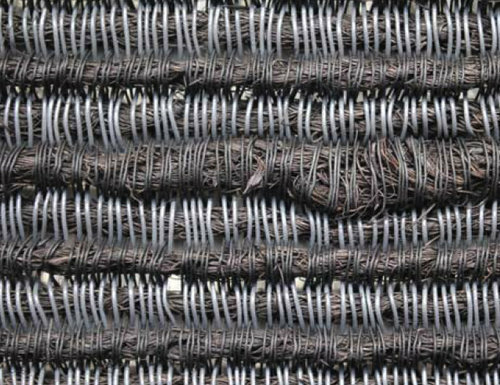 In 2013 a few courses will be organised for the Green Jobs EEP in the field of sustainable textile architecture and materials. October 2012, in DAAD-funded project “Concept-Test-Realization”, a first workshop was held in the University of Juba. Main partners of the project are Bauhaus University Weimar and EiABC in Addis Ababa. 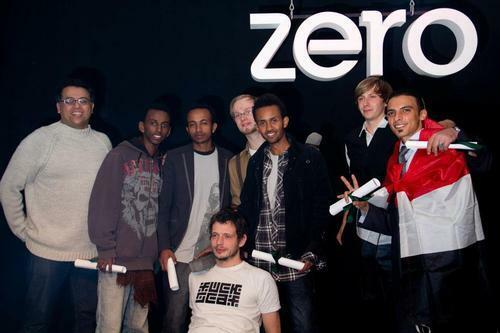 September 2012 saw the three proud winners of each local Zero Award 2012 Green Architecture competition (icecairo, iceaddis & icebauhaus) come together in the capital of Egypt for an intense week of green innovation collaboration. Three culturally mixed teams were formed and ideas for common projects were brainstormed and selected, which each team then continued to develop throughout the week. 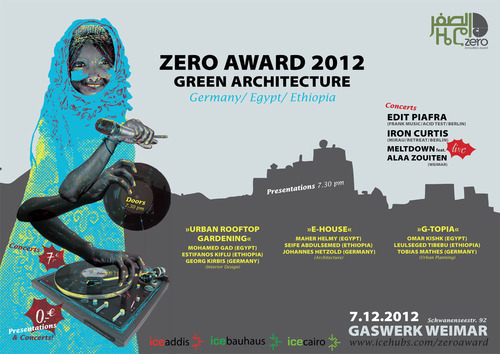 icebauhaus congratulates the winners of the Bauhaus section of the first round of Zero Award 2012 – Green Architecture! 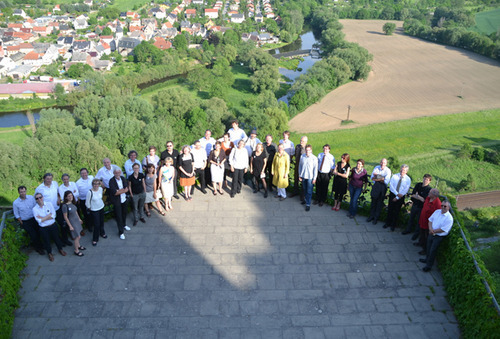 icebauhaus was invited to present the icehubs-network to the participants of the IBA Labor Workshop on 24th of May in Apolda, Germany. 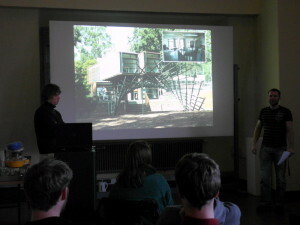 The Internationale Bauausstellung (IBA) or International Architecture Exhibition is a state funded long term tool for visualizing and discussing new concepts of social, cultural and ecologic development. 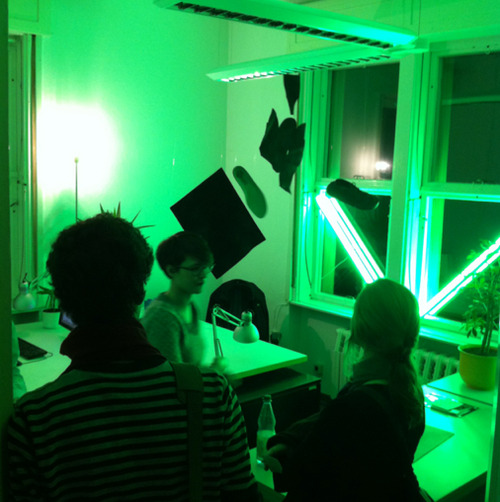 DMY Berlin is an international design network for contemporary product design. At the yearly DMY International Design Festival Berlin both renowned and young, experimental designers launch new products, prototypes and foresighted projects. 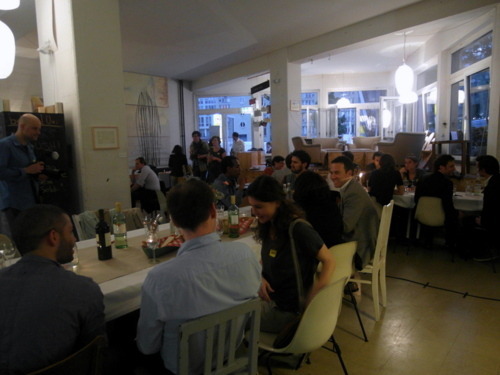 On the 10th of May, icebauhaus & iceaddis co-organized the networking-dinner “The “beta-principle” in international cooperation” together with Betahaus Berlin and GIZ Berlin, aiming to connect the creative scene of Berlin with those working within the German development cooperation field, as a follow-up event to the re:publica conference. 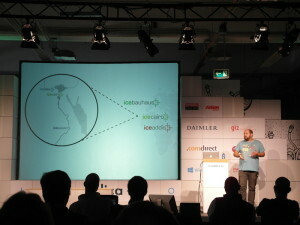 The icehubs were present at the 2012 edition of re:publica in Berlin, with a talk on social media in Africa. 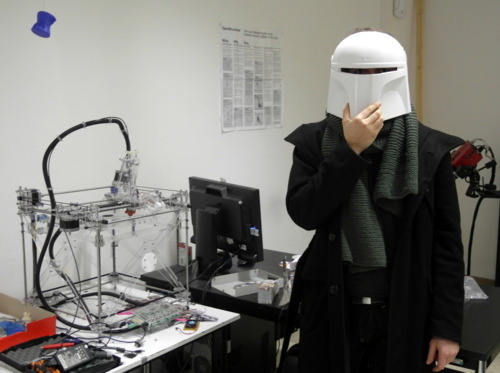 The DAAD proofed 300.000 Euro funding proposal! 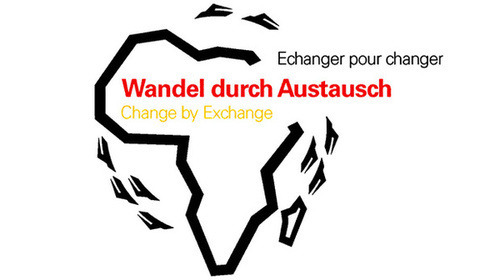 Based on the existing bilateral cooperation between the EiABC and the Bauhaus University Weimar in Germany since 2011 both institutions initiated a funding proposal for the DAAD program “Welcome Africa” which has been proofed in February 2012. The funded cooperation between the three partners Bauhaus University of Weimar (BUW), Ethiopian Institute of Architecture, Building Construction and City Development (EiABC) and University of Juba (UJ) in South Sudan aims at strengthening the praxis orientation (1:10 and 1:1 scale prototyping) and interdisciplinary composition of architecture education in Africa, as well as involving the private sector (new business models). 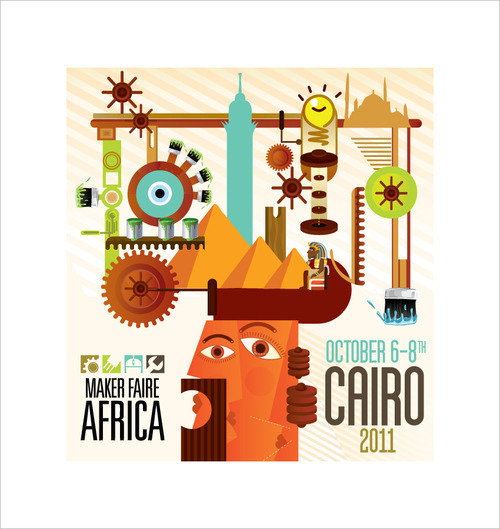 January 2012. icecairo meets icebauhaus – Green innovation in Egypt. 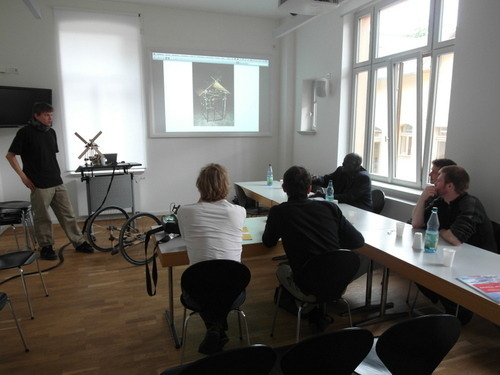 Colleagues from the icecairo hub visited Bauhaus University to discuss ways in which to collaborate. icebauhaus set up a stand at the annual neudeli “advent.ure” event in Bauhaus University Weimar as an opportunity for students and academic staff to engage in the project. 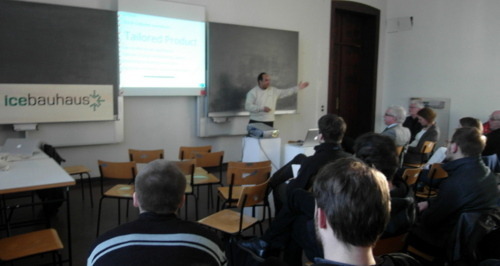 neudeli is the incubator of the University as well as an important icebauhaus partner. 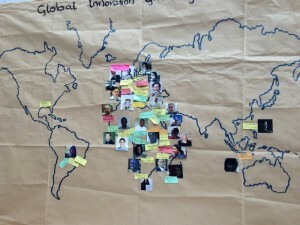 Participants of the Ethio-German Konnect workshop, Addis Ababa November 2011 interviewed. The EGK focused on Ethiopian and German innovation and cooperation within the energy, construction and agriculture sectors. MFA 2011 (October 6-8th) presented and spotlighted the vibrant and endlessly creative individuals that have come to represent the spirit of ‘making’ throughout the continent. 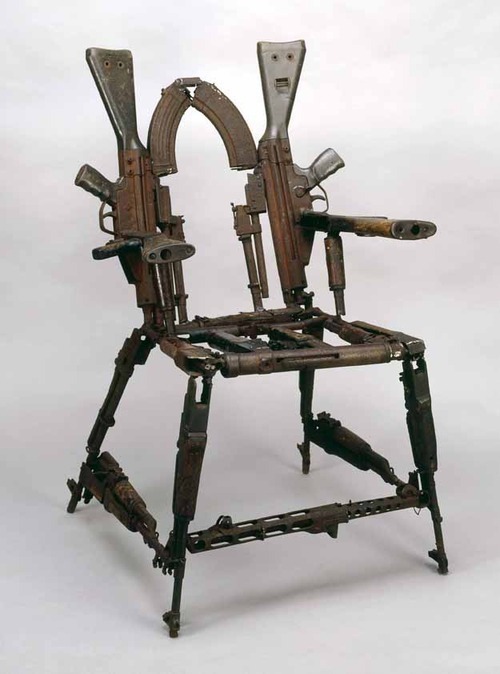 These innovators, artists and tinkerers exhibited a fusion of the informal and formal; ideas, inventions, hacks and designs both low-tech & high-tech. Barcamp Ethiopia 2011 was the second large Barcamp to be organized in Ethiopia, the follow-up to last years successful Barcamp at EiABC in Addis. Official motto was: Your Knowledge. Your community. The purpose of the two-day africa re:load workshop in August 2011 was to bring together a selected group of Ethiopian & German partners from the private and public sectors to generate ideas on green economic development, green technologies & innovation in Africa.